From Winton turn onto 42nd St. Continue to Decoursey, then turn right. Turn right onto E 43rd. Last house on the left at the first stop sign. Welcome home! 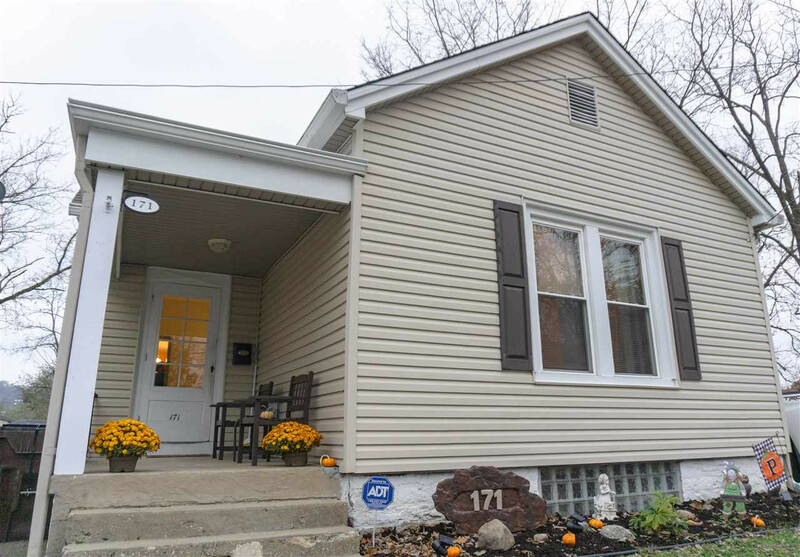 Come see this impeccably updated, single story home in the heart of Latonia! Built in 1904, this home is completely updated for modern living and yet retains the old world charm. Fully remodeled kitchen with a breakfast/dining area added on in 2012, new HVAC installed in 2013, bathroom renovated in 2017. New roof was installed in October of 2018 with a transferable warranty, new carpet and hardwood flooring! Currently used a single bedroom, but could easily be used as a two bedroom. All appliances, including washer and dryer stay! Call today for your private showing!